The blending of indoor and outdoor living is commonplace in today’s society. It’s become increasingly popular for homeowners to invest in outdoor entertainment spaces in their backyard. According to the 2014 Houzz Spring Landscaping Trends survey, 56% of homeowners are undertaking massive landscaping projects to make their yard friendlier and more entertaining. At the center of all these outdoor remodelings are outdoor fire pits and fireplaces. 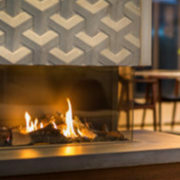 In fact, the top reasons consumers are adding fireplaces and fire pits is to provide warmth and ambiance to prolong the summer season well into fall. 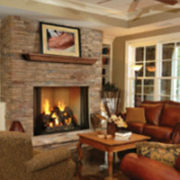 Since 1995, Rettinger Fireplace Systems has been serving South Jersey with outdoor fireplaces, mantels and cabinetry, custom fireplace doors, and many more products and services. We are here today to discuss the many amazing benefits an outdoor fireplace or fire pit provides. 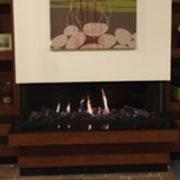 The addition of an outdoor fireplace system is an attractive selling feature. 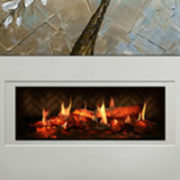 If you want to set yourself apart from others, this is an excellent feature and it adds a lot of value to the home. Right now, outdoor living areas are trending, no matter what part of the country you live in. There are so many ways an outdoor fire pit or fireplace creates a welcoming entertainment space for family and friends. Gathering around a warm fire is an exceptional way to host guests and keep them comfortable year round. Additionally homeowners can make their outdoor fireplaces part of an outdoor kitchen with the right materials and extend gatherings from inside to outside. 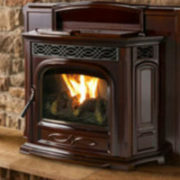 Spring, summer, fall, or winter, an outdoor fireplace can be utilized every season! This is especially convenient for people who love to spend time outside. Now, instead of being stuffed inside all winter long, cozy up with a book under the stars next to your warm and toasty outdoor fireplace. 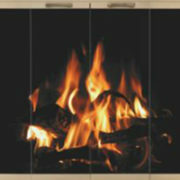 This summer, enjoy a bug-free environment as a wood burning fireplace is an insect deterrent! Smoke is a natural insect repellent, and there are many other herbs (sage, lemon balm) that can be thrown into a fire to keep the mosquitoes away. Are you ready to create the ultimate outdoor space for your home? 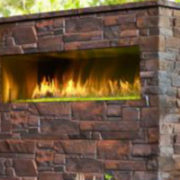 Contact Rettinger Fireplace Systems to install an outdoor fireplace at your Camden County home today by dialing 856-213-9471.